Are Those Communication Components Really Going Out of Style? 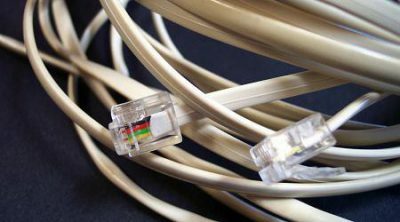 NECABLES > Industry News > Are Those Communication Components Really Going Out of Style? With high-speed development, the way of communications is varying day by day. Yesterday were plain old telephone systems(POTS) and tomorrow may be those invisibles. Then what’s the fate of lan cable, patch cord, keystone jack, coax cable, USB series, even fiber optics and so on and so forth? Things always change forwards. I mean, in the field of communication technology. The new come and the new go, but we are still using those so called “out of style”. As is known, the potential of Ethernet and wireless is infinite. However, the art of communication components seemly remains its “origin” appearance, although in nature. It differs much. There are reasons for that. 1. Somehow, those meet still our use. Take USB 2.0 for example, it still cover a large market, because most electronics with USB 2.0 components are still popularly used and must find the counterparts to match up with (a higher version is a waste of technology and money, sometimes may cause circuit chaos). 2. Saving money may be another realistic explanation. The fast updating of technology, not only taking more money from our account, but also saving on the other hand. That is benefitting us. Updating goes fast, but superseding drags long-lasting. I drew it just for a start of discussion, awaiting your participation and valuable thinkings.